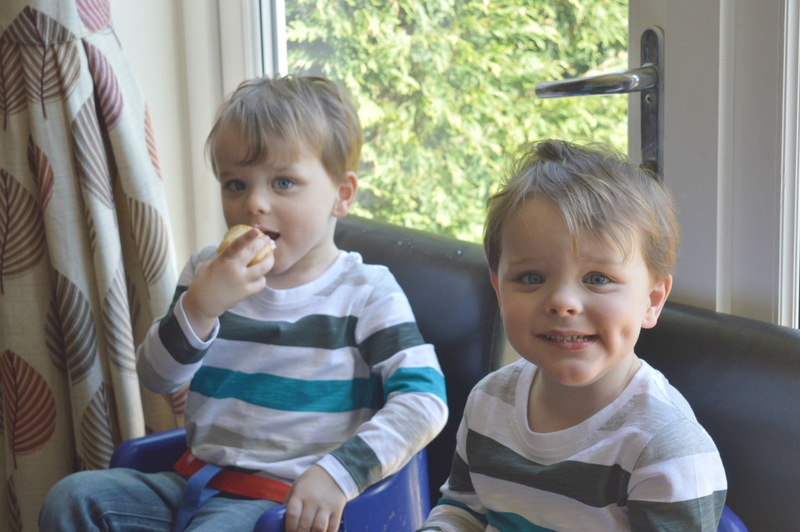 Yesterday, it was Harry and Matthew's 3rd Birthday. I am not going to say where has the time gone, because having twins has sometimes been very difficult for me to handle, personally, and the time certainly hasn't flown by. I adore my boys, but the toddler years have certainly been trying. Prolonged Potty training, running off in different directions, wrecking the home environment. It's been tough - much tougher than it was with my daughter. Having twins is not just double the work, it's more like 10 times the work, I think. That said, we are starting to turn a corner. 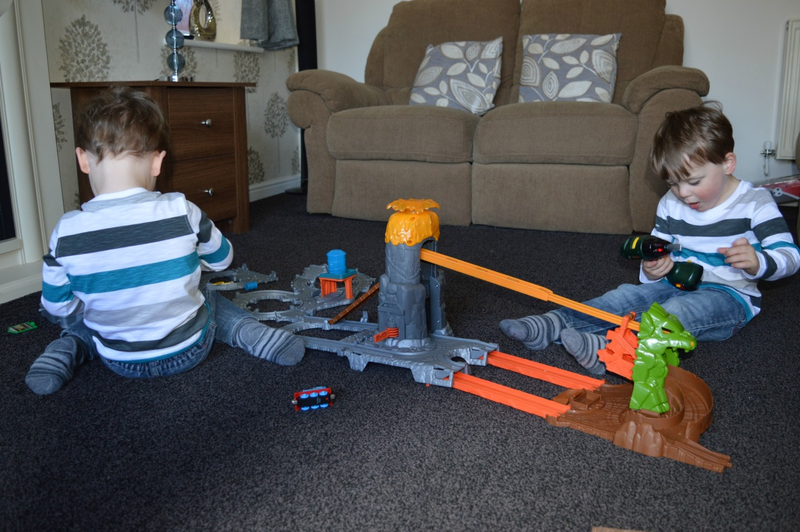 Their concentration skills are improving daily and they really enjoyed the shared playing with their new Thomas toys on their Birthday. I feel quite lucky, at the moment, that they don't really fight at all. I know it will come, but for now they tolerate each other very well. 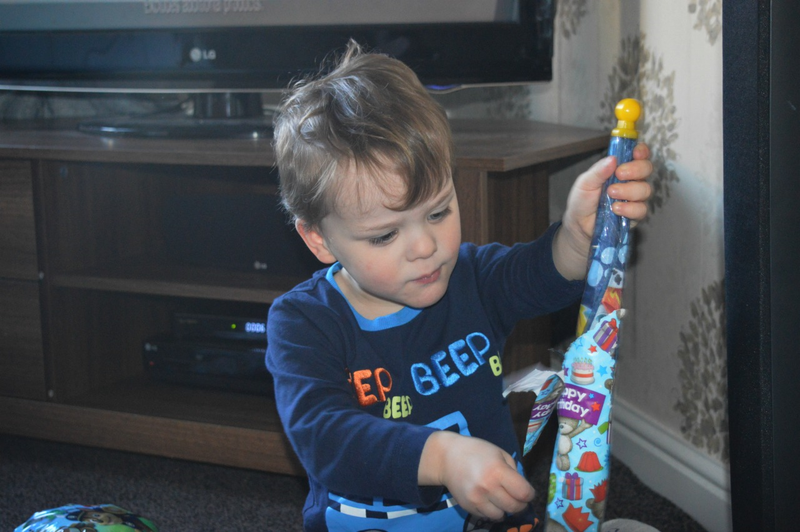 This is Matthew opening his new Paw Patrol umbrella. They've wanted umbrellas for ages - constantly snatching at the ones that hang near the tills while I am queuing up in Primark! These toys are the ones they've enjoyed the most from their Birthday presents. The toy drill was £12.99 from ELC and the Walkie Talkies £12.99 from Smyths. Kids always seem to enjoy the cheaper, more simpler toys don't they? 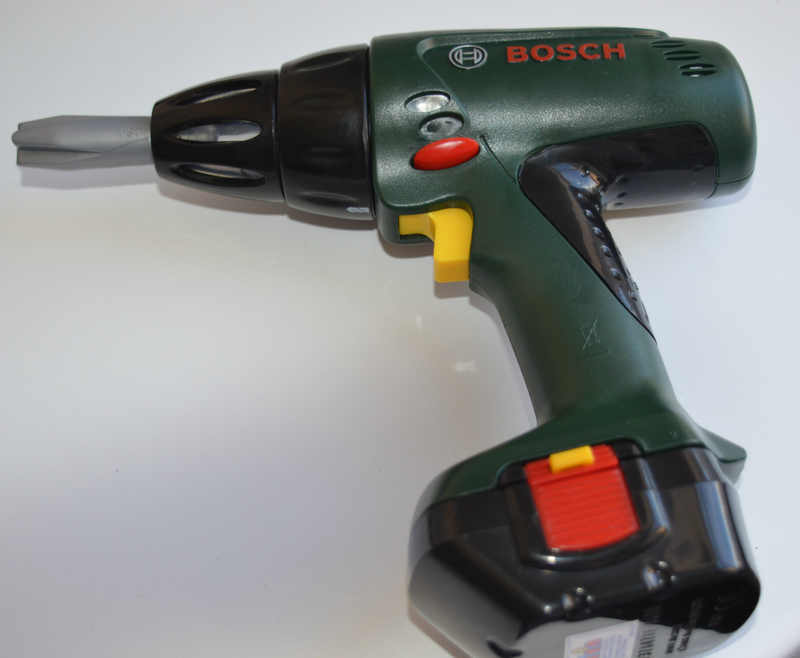 That drill though is great fun! 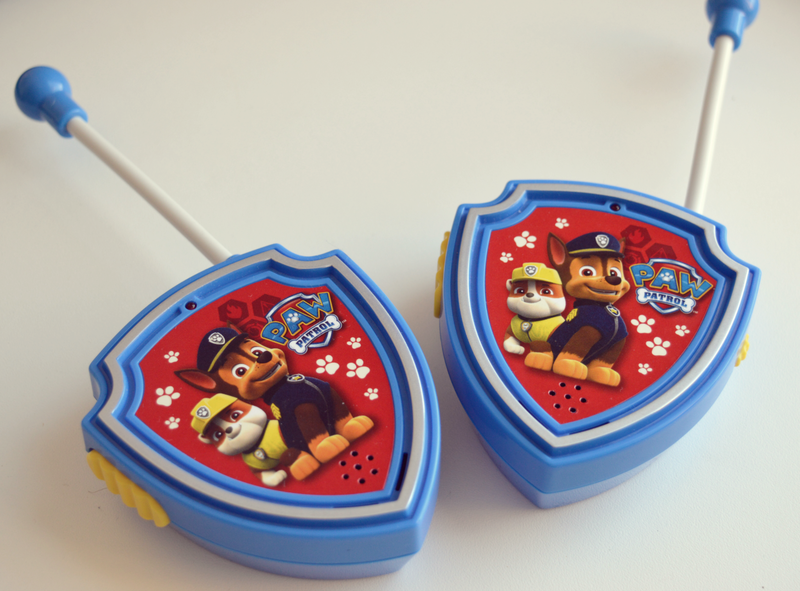 Paw Patrol has the been the overarching theme of their Birthday. We had banners, cake, twirly bits from the ceiling, toothbrushes, lunch bags, underpants, toys, DVDs - All in Paw Patrol. They love it! Both boys grasped the idea of presents and cake very well, this time, which was lovely. They even sang "Happy Birthday to Me" to themselves which made us laugh. We had tea in the pub, which is something they also like to do and a mini family party on Sunday for them. I'm looking forward to them starting School Nursery in September and making friends so that we can hopefully have a proper children's party for them next year.